The Appenzeller Sennenhund is a lively and spirited dog. He learns quickly and builds a close bond with his caregiver and his family, but also with his extended environment. If he can be close to his family, he is extremely sociable and happy. Also striking is his bright voice, with which he often expresses his enthusiasm. 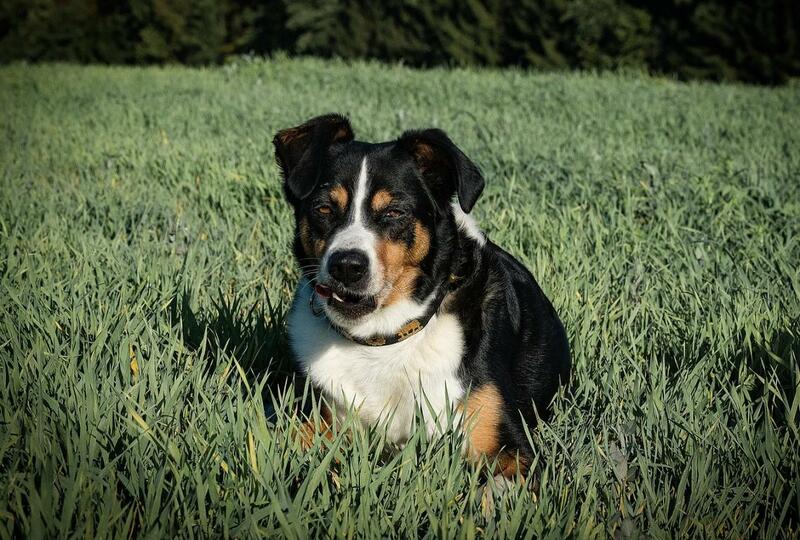 About caresses, the Appenzeller Sennenhund as much as about the human society. 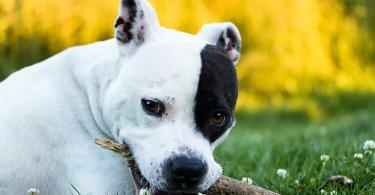 In general, this easy-care dog feels most comfortable when actively involved with the family. The Appenzeller Sennenhund always appears confident and shows no fear even in difficult situations. 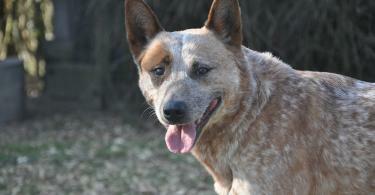 As a herding dog he works diligently, reliably and with a great stamina. He also knows how to distinguish exactly between the animals entrusted to him and strange ones. Even as a guard dog he is absolutely reliable and incorruptible. Often he shows himself to strangers with a slight suspicion and developed a pronounced protector instinct towards people or animals entrusted to him. He is therefore not a pronounced beginner dog. Anyone who gets involved with him, however, has in him a nimble, mobile and faithful companion, who can train versatile with his intelligence and the innate joy of work. In its original home, the Appenzeller Land, the Appenzeller Sennenhund is successfully used as a herding dog. 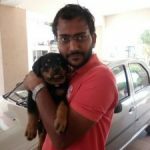 Due to his joy in learning and his zest for work, he is also suitable for training as an avalanche, sanitary or protective dog. As a family dog, the Appenzeller Sennenhund is easy to clean and of a largely uncomplicated character. However, he needs a lot of exercise, seeks the connection to the family and wants to be intensively mentally engaged every day. He is also very belligerent. The Appenzeller Sennenhund is also ideal for use as a watchdog. Here he proves to be absolutely reliable and incorruptible to strangers. In 1853, the Appenzeller Sennenhund was described for the first time as a versatile working dog, which was used in the Alpine region for both watchkeeping and the gathering of animals. At the suggestion of the Swiss forestry master and patron of the breed, Max Sieber, the Swiss Cynological Society established the first race labels at the end of the 19th century, on the basis of which the Appenzeller Sennenhund was also evaluated at exhibitions from 1889. From that point on, the breed was bred specifically in purebred, so that it can be clearly distinguished from other Sennenhunderassen today. The first breed standard was laid down by the Zurich geologist and cynologist Prof. Albert Heim in 1914. Appenzeller Sennenhund has firm, close-fitting stick hair with dense undercoat. 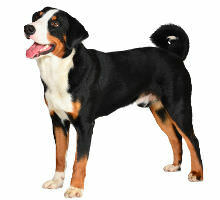 The Appenzeller Sennenhund has a strong, relatively short neck and a straight, moderately long back. The croup runs flat from the back and also appears rather short. The loins are short and strong, the chest wide and deep with a clear forechest. It reaches to the elbows. The lower profile line is only slightly raised. The Appenzeller Sennenhund has a high set, densely haired tail of medium length. Characteristic is that it is worn over the back line. Forelegs and hind legs are well muscled.